The latest edition of the Bible News Prophecy magazine put out by the Continuing Church of God is now available. 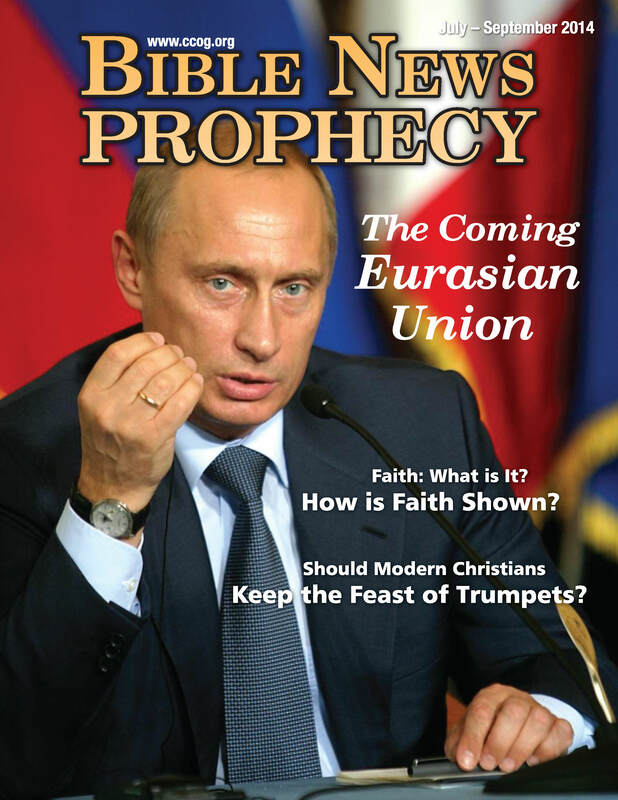 Here is a pdf link to the July-Sept. 2014 edition of Bible News Prophecy magazine. 3 The Coming Eurasian Union There is an agreement for the formation of the Eurasian Union in 2015. What does the Bible indicate a coming Eurasian union will do? 8 Study the Bible Course Lesson 3: Christ Will Stop World Suicide This is the third lesson of this course to help people study and better understand the Bible. 20 Should Modern Christians Keep the Feast of Trumpets? Jews call it Rosh Hashanah. Most who claim Christ do not keep it. Should you? What does it teach? 27 Faith: What is It? How is Faith Shown? Faith is one of the weightier matters of the law, but what is faith? 32 Why People Lack Faith The late Herbert W. Armstrong addressed this. 33 The Final Phase of the Work: Reaching Africa The final phase of the work has many parts. The Continuing Church of God held a conference for leaders in Nairobi related to it. Is Africa becoming an example for Philadelphians to follow? This entry was posted on Wednesday, July 2nd, 2014 at 12:01 am	and is filed under COG News, Doctrine.